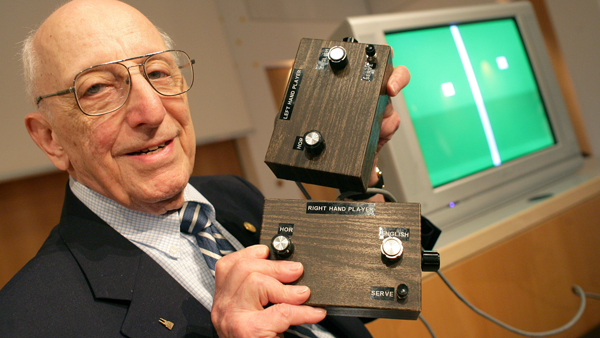 In honor of the late Ralph H. Baer, “The Father of Video Games” and national Jewish Community Center affiliates, we are asking for your help to establish the Ralph H. Baer Science and Technology Fund, to support and sustain a five year FIRST (For Inspiration and Recognition of Science and Technology) LEGO® League (FLL) program at the I. J. and Jeanné Wagner Jewish Community Center. The FIRST (For Inspiration and Recognition of Science and Technology) LEGO® League (FLL) program is an exciting, fun global robotics and innovation program that ignites an enthusiasm for discovery, science, teamwork and technology in kids ages 9-14. Students have the opportunity to solve real-world challenges by building LEGO-based robots to complete tasks on a thematic playing surface. FLL teams, guided by their imaginations and adult coaches, discover exciting career opportunities and through the process learn to make positive contributions to society.